It’s amazing what a little professional tweaking can do, eh? A second child is on the way for Gwen Stefani and her husband Gavin Rossdale, People.com reported on Tuesday. Rossdale’s father, Douglas Rossdale, confirmed the pregnancy to the Web site. “They and the whole family are delighted,” Douglas Rossdale told People.com. Stefani, 38, and Rossdale, 40, were married in London in 2002 and have one child, Kingston, who will turn 2 on May 26. 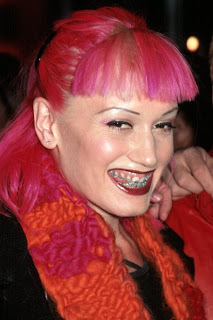 This entry was posted on Tuesday, January 29th, 2008 at 2:40 pm and is filed under gwen stafani, pregnancy rumors. You can follow any responses to this entry through the RSS 2.0 feed. You can leave a response, or trackback from your own site.